Servicing San Antonio, Austin, New Braunfels, Canyon Lake, Seguin, San Marcos and every city in between! Margarita Madness is a margarita machine rental business and special event catering company servicing New Braunfels, Canyon Lake, Seguin and San Marcos. We specialize in all types of events including; Conventions, Weddings, Graduations, Bar Mitzvahs, Sweet 16, Quinceañeras, Private IN-Home parties, Reunions, Outdoor Venues, Fundraiser and much more! Margarita Madness specializes in parties of any size! 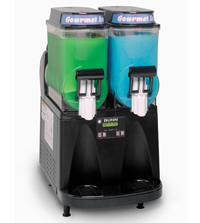 We are your one stop solution to frozen drink machines, kegerator systems and full service bartending. You can depend on our team of professionals to make your next event a guaranteed success! We look forward to servicing your next event, Texas Style!